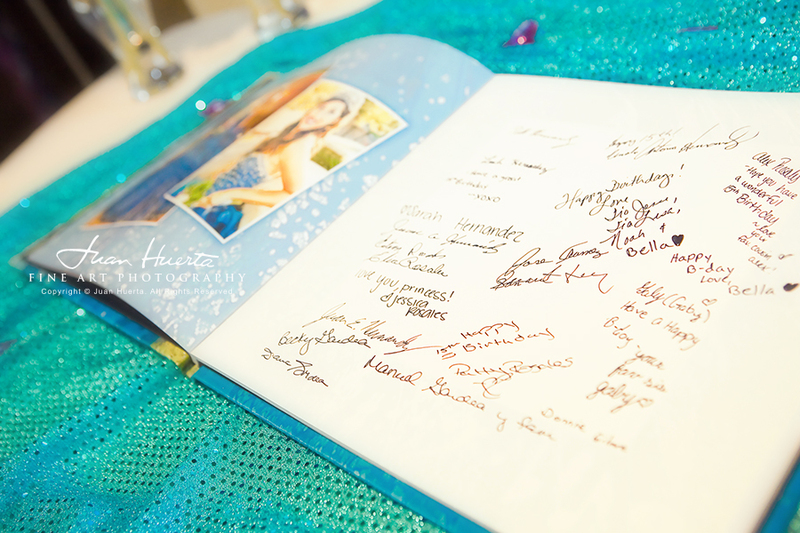 The quinceanera's guest book is one of the more important items to have ready for the quinceanera's reception. 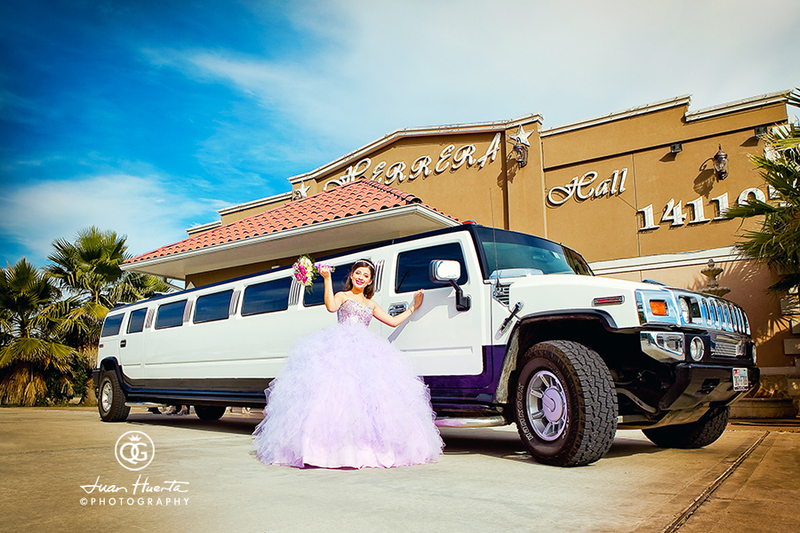 Nowadays, more and more quinceaneras are opting for an artistic way to present their guests with a new style sign in book. 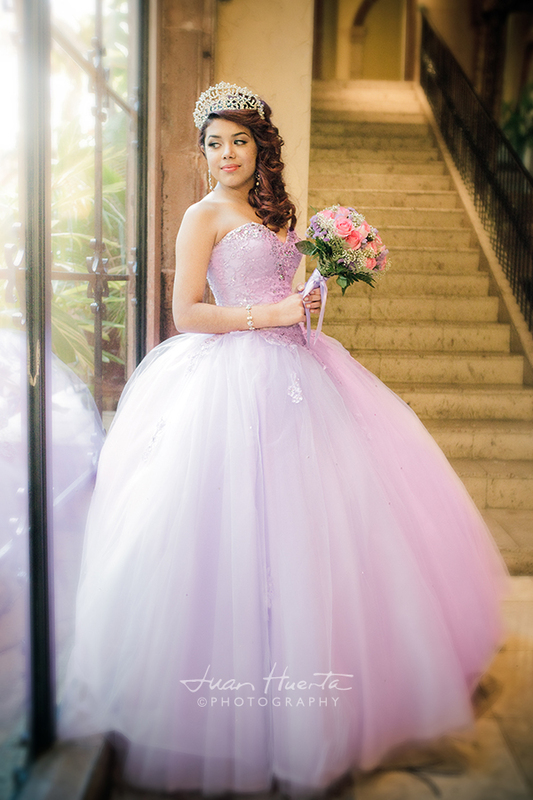 The full, original picture, which appears down below, is a very typical portrait of the quinceanera, always happy and glowing and that's the reason why we selected it for the cover. 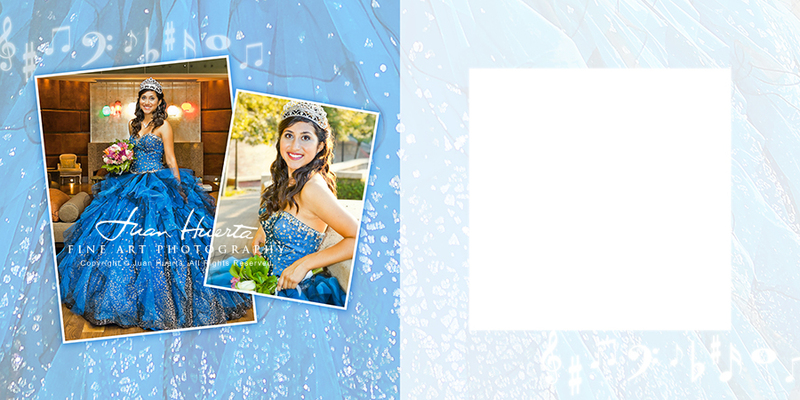 Even though I had to end up croping the image to a half body picture in order to fit the the guest book cover layout, the photograph still held on to Arianna's main features. 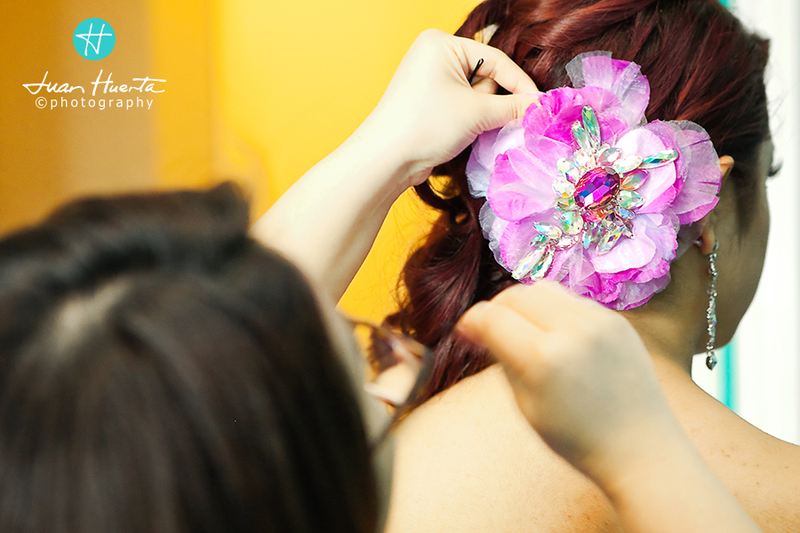 InStyle! 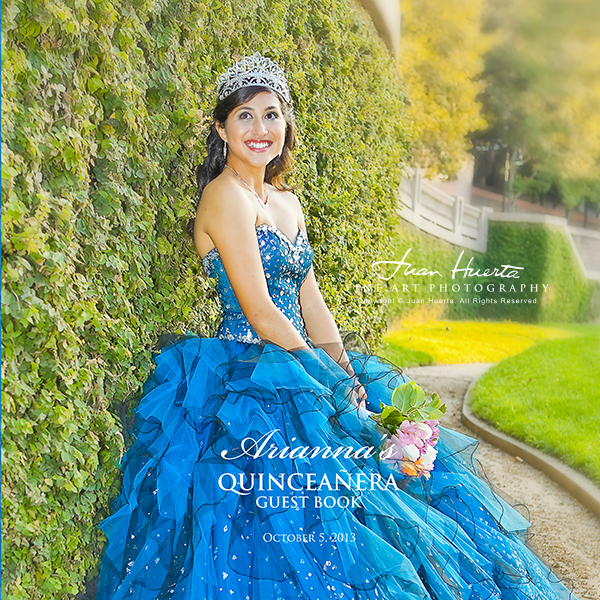 The overall look and design for the book was suggested by the quinceanera herself, who wanted to have a more layback approach to the 'guest book' concept. 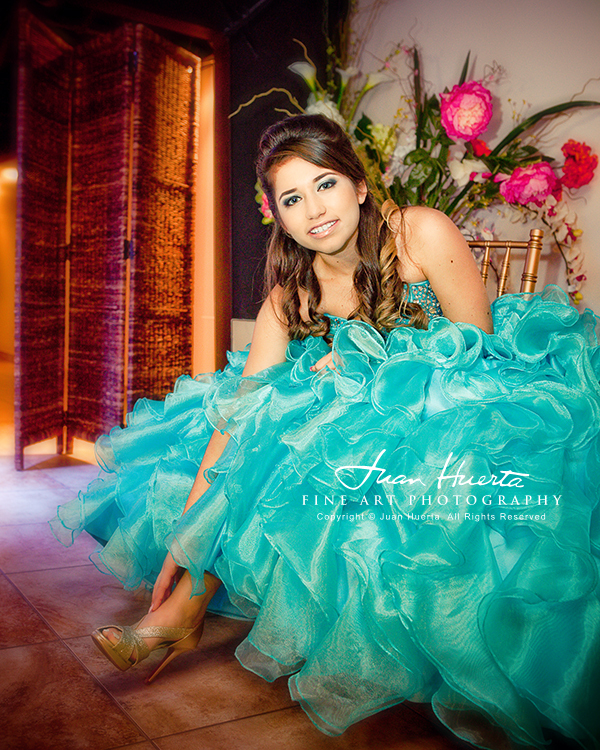 She said she wanted her guest book to feature the best of her portraits session while giving it 'yearbook' feel to it. 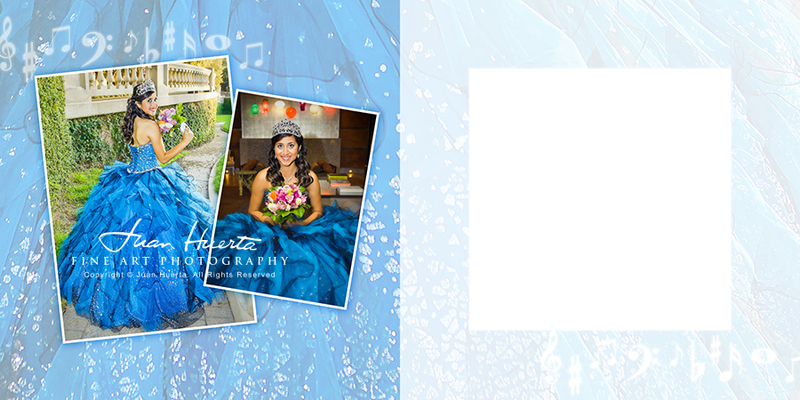 That is the reason why I decided to design the pages this way, with rotated, supper imposed images that would add a fresher outlook to the album. 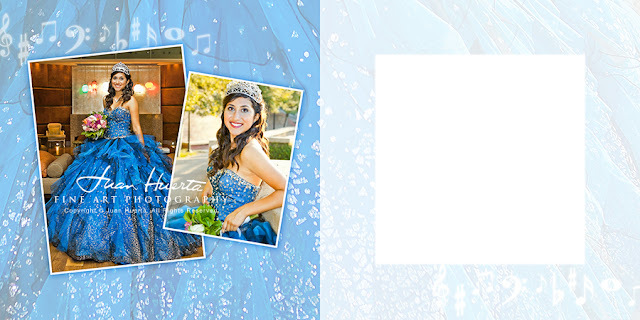 Since Arianna is very involved with music and many other after school programs, we decided to also design the pages utilizing music symbols and a hint to the color scheme chosen for her quinceanera's celebration. 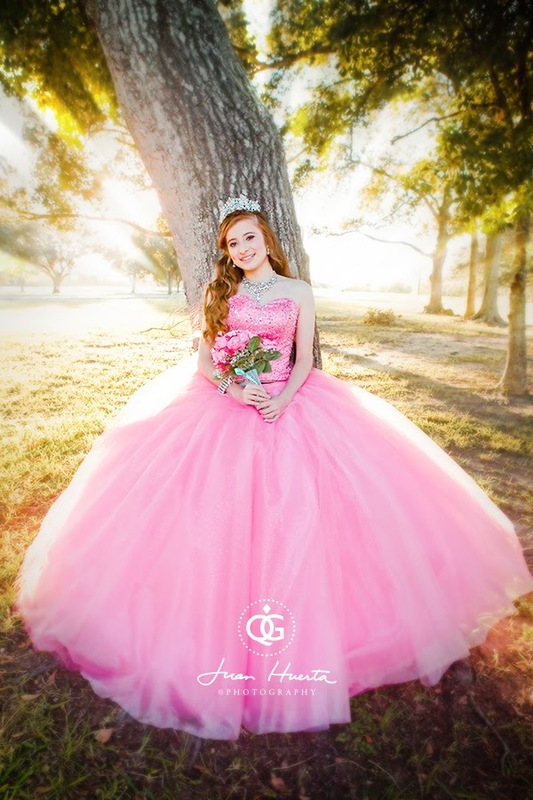 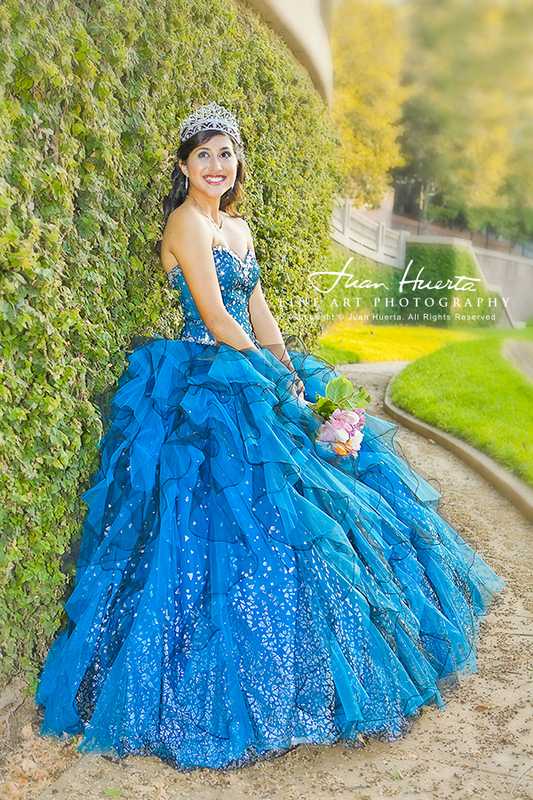 For each page containing the quinceanera's photography portraits, we decided to combine both images we had taken indoors with the pictures we had been able to shoot outside of the Magnolia Hotel Lobby, here in Houston Texas (you can see some of those pictures here). The combination of both indoors and outdoor portraits gave us the opportunity to showcase the beauty of our quinceanera from different standpoints and perspectives; the classic views from the Magnolia HOtel Lobby and the care free, fresh images from the Houston downtown areas that we had a chance to use as backgrounds for the outdoor shots. 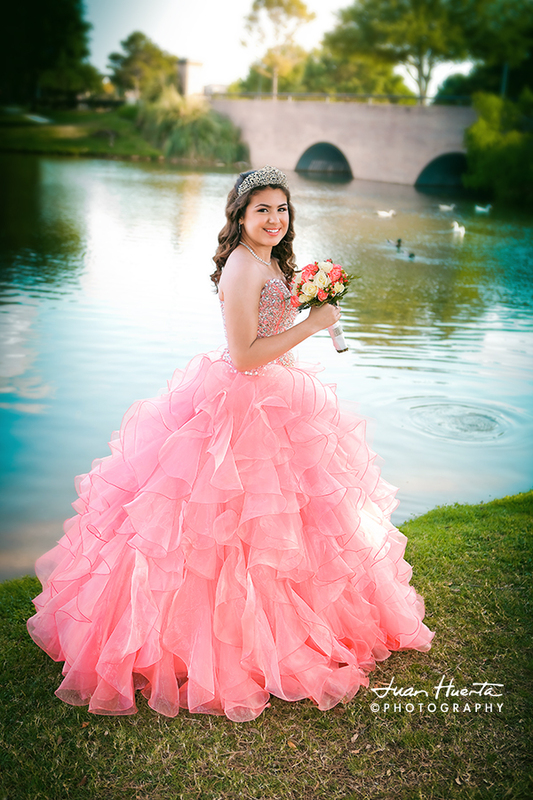 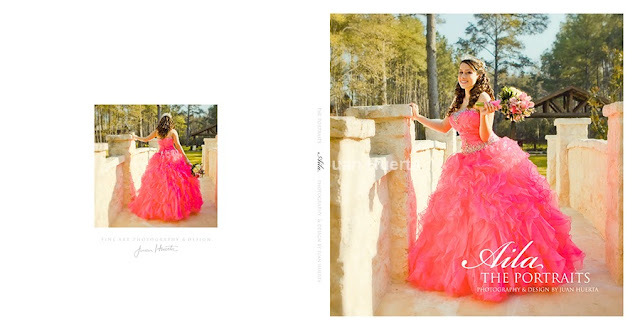 This quinceanera's fine art guest book features a beautiful, custom-made cover printed on canvas with one of the quinceaneras most beautiful portraits from the quinceanera's photo pre-session. 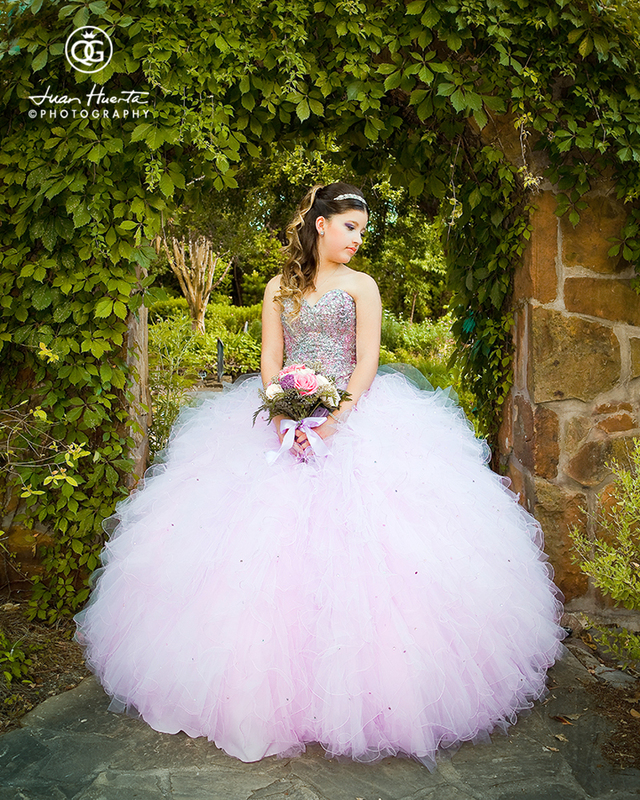 The quinceanera's portrait will be printed on canvas substrate and with a coat of lamination added for additional protection and archival purposes. This gorgeous guest book also features a smooth, bright white paper with a patented built-in hinge that allows for the book pages to lay flat when opened. 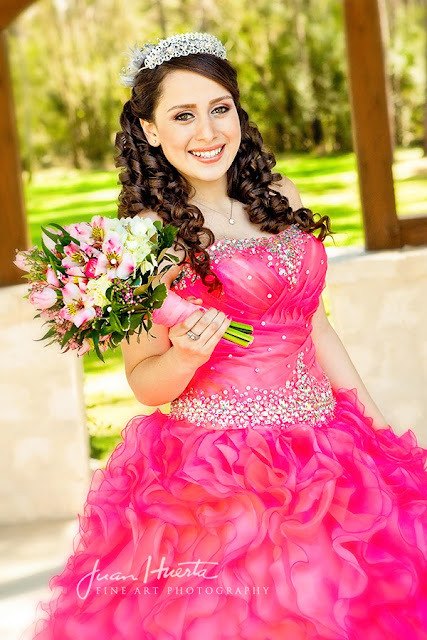 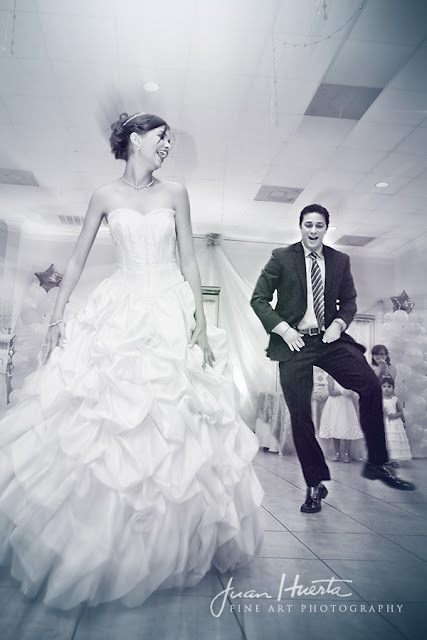 The pages are also very thick with extraordinary archival and durability capabilities, the type of beautiful and at the same time heavy duty finish that is obviously needed for a book that will be used for your guest to write on and leave their signature and thoughts for the quinceanera.